It’s The Season of Kurt on "Glee"
Chris Colfer On His 2010 Emmy Nomination: "It's a Kind of Validation"
The most memorable sound on "Glee" this season hasn't been the singing – it's been the repeated, unnerving slamming of Kurt against his locker by a homophobic bully apparently terrified of his own sexual feelings. The very real violence – as opposed to the cartoonish Slushie facials delivered to the glee club members – has provided crucial grounding to a show trailed by chatter that it’s already in danger of pirouetting over the proverbial shark. The plotline makes Tuesday night’s episode – the showdown between New Directions and the Warblers, the singing group at Kurt’s new private high school – a must-see for fans with a scenario that promises “Glee” at its best: high-stakes camp mixed with genuine emotion. "Glee" bounces so quickly at times from the silly to the surreal to the serious that viewers might be left wondering at times how long the creators can keep up the song-and-dance act as the show nears the midpoint of its second season. At the 2010 GQ Magazine's "Men Of The Year" party, Michael K. Williams, Jimmy Kimmel, Jason Ritter, Chris Colfer, Drake, Bryan Cranston, Chord Overstreet and others reveal their Thanksgiving plans for this year. Find out where, how, and with whom the stars will be spending their holiday. But for all the gimmicks (the bizarre Britney Spears tribute and the "Rocky Horror" salute) and stunt casting (Gwyneth Paltrow, John Stamos and Carol Burnett), the show’s sophomore effort, so far, can best be called The Season of Kurt. The groundwork for Tuesday’s show was laid last week with a strong episode featuring Kurt’s dad and Finn’s mom – always heralds that a dose of reality is on the way. Yes, they finally got married, being allowed some moments of joy after years of respective widowhood and the heart attack suffered by Kurt’s dad earlier this season in the epic “Grilled Cheesus” episode. But they were also on hand to protect the teen from Dave Korofsky, the football player whose secret attraction to Kurt (Chris Colfer) has manifested as violent rage, death threats – and, in one stunning instance, a kiss. Thanks to some Emmy-worthy acting by Colfer, we’ve absorbed Kurt’s feeling of dread that lurks every moment he’s alone in the school hallway, anticipating another body-slam and more verbal venom. The confrontation scene in Sue Sylvester’s office during played against stereotypes. We’ve already seen that Kurt’s blue-collar dad, Burt, understands him best and is his strongest defender. We met Korofsky’s father, who defied expectations by coming across as a rational, gentle person. Usually nasty Sue showed another side with her visceral reaction against bullying and expelled Korofsky, who was later reinstated by the school board. With Kurt in fear for his life, his dad and new stepmom gave up their Hawaiian honeymoon to use the money to send him to the tony Dalton Academy, where they have a great glee club – and no tolerance for bullies. Kurt will be pitted against his former glee-mates in the key sectional competition. The season’s subplot has played out amid the growing national conversation about bullying, spurred, in part, by the tragic suicide of a Rutgers University freshman who killed himself after two students allegedly streamed video of him in a romantic encounter with a man. 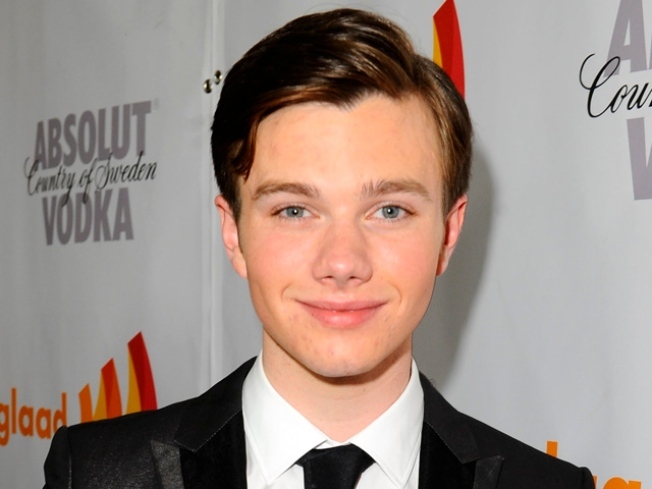 "I know what it's like to be bullied and teased every single day,” Colfer says in the video. “You are not alone....I promise, it gets so much better." “Glee” is very much about high school’s travails, most played for laughs and others occasionally played dead serious. The bullying storyline is another sign that character development is more important to the show's ultimate success than, say, fantasy sequences featuring Spears. The program’s constant shifts in tone are part of the fun – and part of the challenge of being a “Glee” fan. That means learning to live with the misfires – Will Schuester kissing Coach Beiste came off as more weird than sweet, ditto for Sue’s plan for a wedding (to herself) – because a new Grilled Cheesus could be waiting in the cafeteria at William McKinley High.